The above mentioned prices are intended with VAT. The rooms are reserved from 12 pm of the arrival day to 10 am of the departure day. Half board included: night, breakfast and optionally lunch or dinner. 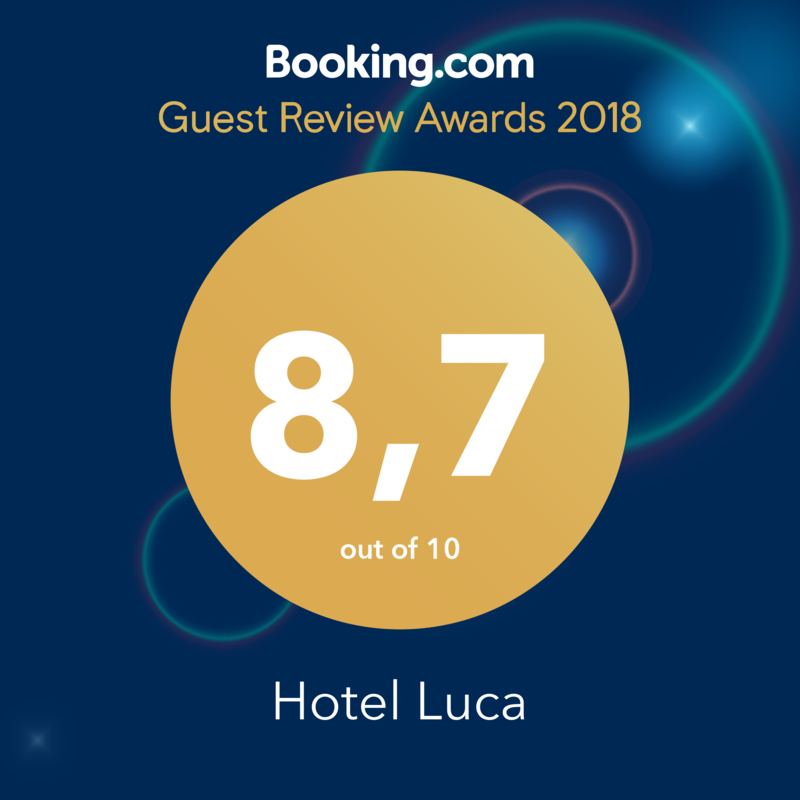 – AIR CONDITIONING IN ROOM + 5,00 EURO per day per room; – UNLIMITED DRINKS AT MEALS + 3,00 EURO per day per person (reduction for children/young people and third – fourth bed for adults); – BEACH INCLUDED + 11,00 EURO per day (1 beach umbrella and e 2 sun beds). Add. Charge single room: 0-30% discount. Reduction on the third – fourth bed: 10–20% discount. Children till 2 years old: FREE Children from 2 up to 5 years old: -50% discount. Children over 5 years old: -10/40% discount. FAMILY PACKAGE AND GROUPS OFFERINGS by PHONE and per EMAIL.